Twitter always finds a way to distract me. It was Monday, Jan. 6 and my phone was abuzz with notifications alerting me that several people I follow on Twitter had started following @thesheertruth. Being the journalist/social media junkie that I am, I had to investigate why. 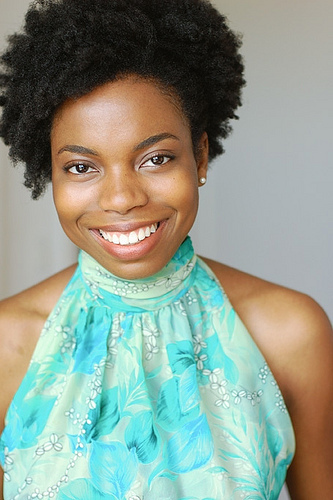 I soon discovered that @thesheertruth is the Twitter account of Sasheer Zamata -- Saturday Night Live's newest cast member and the show's first female black cast member in years. The late-night sketch comedy show hasn't had a black woman as part of its case since Maya Rudolph left five years ago. SNL has faced criticism for its lack of diversity for a long time. There have only been four women of color on the series in its 38-year run. Recently Kenan Thompson -- the black male actor who often plays black female characters on the show -- suggested in an interview that there where no black actresses on the show because there were none qualified for the job. Zamata's first live episode will be Jan. 18, featuring Drake as host and musical guest. I'll be honest, I typically only watch SNL when I know a celebrity I like will be on the show. But now I may be tuning in more often and not simply because Zamata shares my skin tone. I think I'm going to really dig Zamata. First of all, her Twitter bio reads: "Comedian, Actress, Writer, Beyonce." She's also one of the masterminds behind "Pursuit of Sexiness," an Internet-based show she created with Nicole Byer. "Pursuit of Sexiness" received rave reviews in HuffPost and The Hairpin and was named one of the Top Web Series of 2013 by Variety. I'm really looking forward to January 18. Wow that's great , i like video my best .